A stylish vintage inspired jewellery set, Pearls of Splendour features a beautiful collar necklace and bracelet with a choice of earrings or clip on earrings. 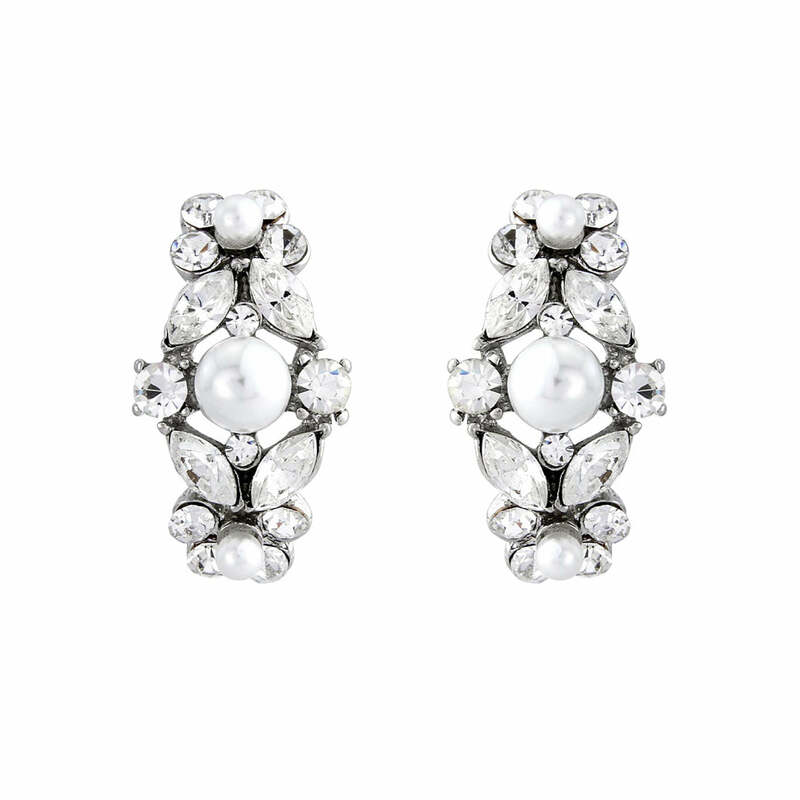 Taking influence from the legendary era of the late 1940s to early 1950s, our Pearls of Splendour Jewellery Set is a style sensation. Featuring clear Austrian crystals enhanced with petite ivory pearls in a three piece set comprising collar necklace, bracelet and curved earrings in pierced and clip on. Brides have the option of wearing all three for a dramatic bridal style or opting for the necklace alone for understated elegance. 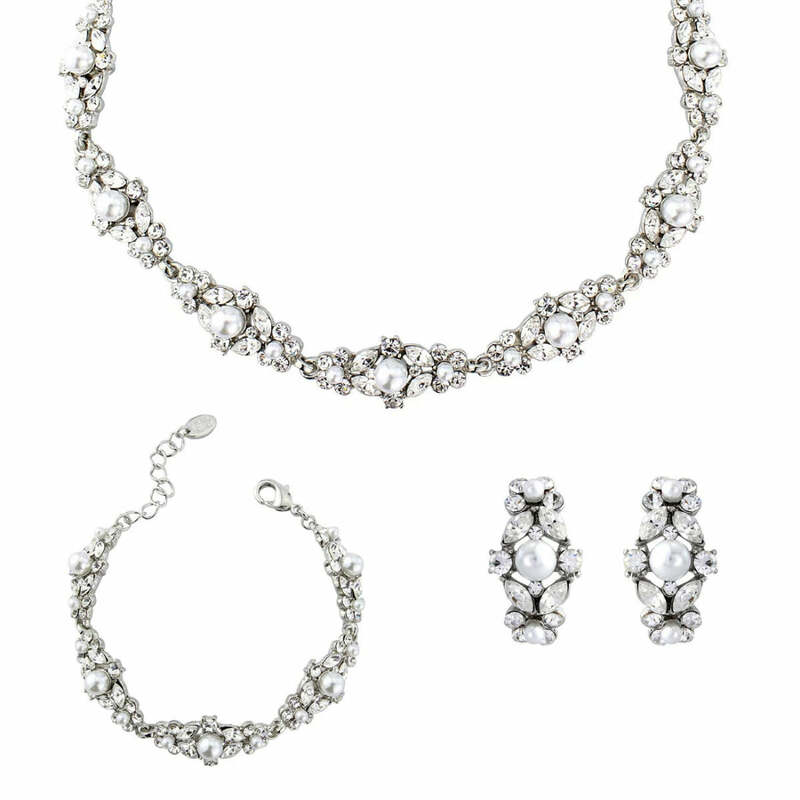 The perfect wedding jewellery set to accessorise a vintage gown, this fabulous design is classic and graceful. 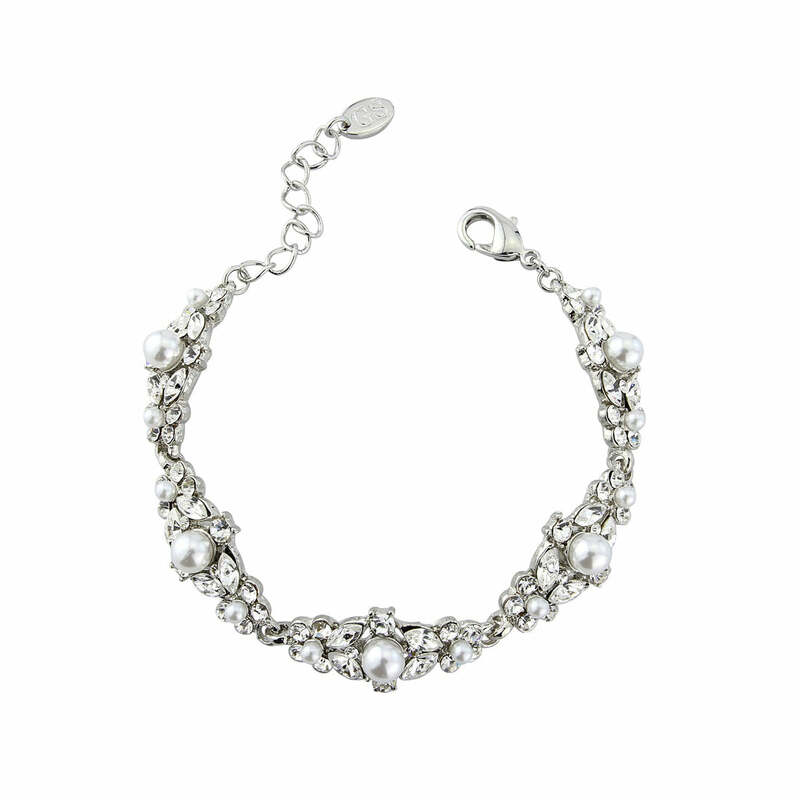 Timelessly chic, Pearls of Splendour will make a keepsake gift for all your bridal party. 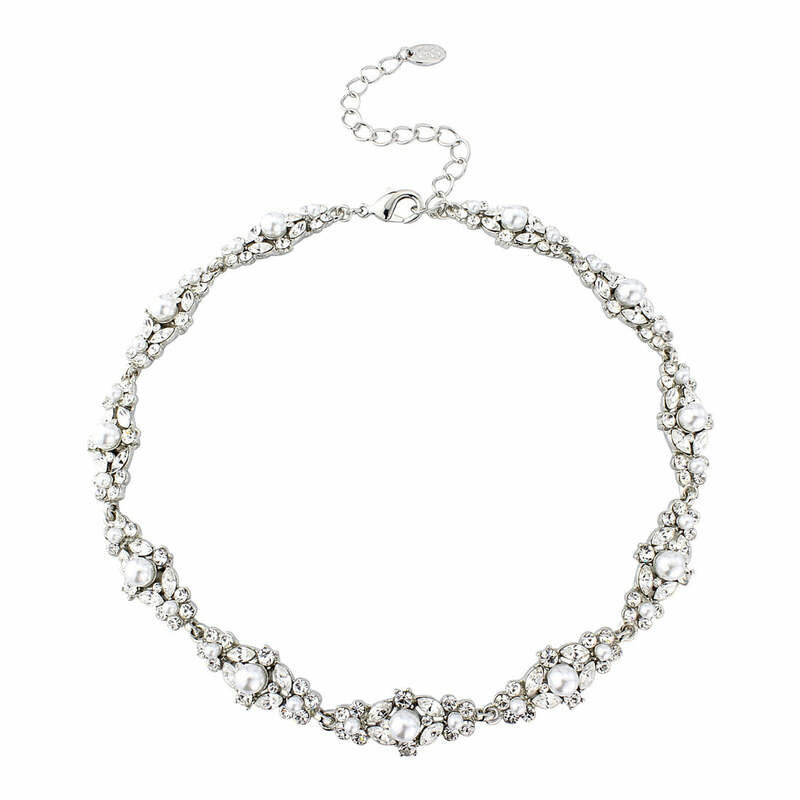 For Hollywood Starlet style team this fabulous set with a bejewelled headpiece and you are sure to be Belle of the Ball.